Outsourcing web designing assignments has been going on for quite a while now and yet the debate around its credibility and success just doesn’t stop. If some clients worry about the quality offered by outsourcing companies for others it boils down to the price equation. Without an iota of doubt it can get pretty tricky to outsource to an offshore company when you have to trust people you have never met. 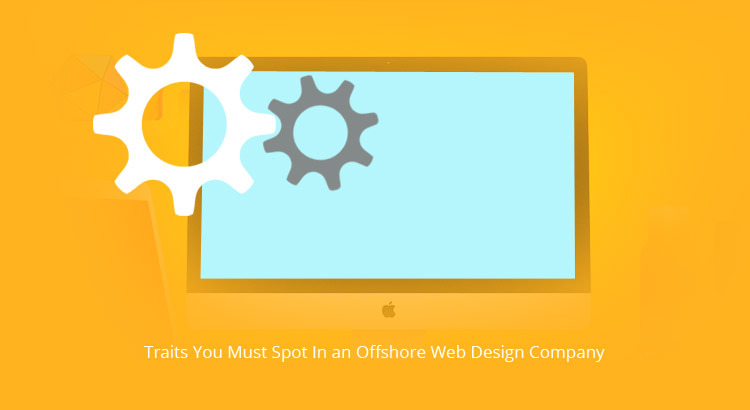 If you are also planning to work with an offshore web design company, you must be able to identify a few traits that will help you choose the best in the business. In this article we will highlight a few factors that you should keep in mind while choosing an offshore website design company. Look for a web design company that puts quality as their greatest USP. Many times businesses suffer due to sub-standard services offered by an offshore company. This is one pitfall you should definitely avoid. Often times low cost can indicate bad quality and you should be able to read the warning signs early. If an offshore company is offering you services as unbelievable rates you better look for other options. The logic is simple what can’t be done for x amount of dollars by majority of the agencies can’t be done. Your project is unique and so are your requirements. You might need to work in a certain manner for one project and do a complete turnaround for another one. That’s why when you hire an offshore web development you must look out for flexibility. The company should be able to meet your requirements easily without you having to compromise on its quality. Moreover the company should be able to adapt to change as and when required. In today’s digital world geographical distance has nothing to do with how businesses communicate with one another. Even when you are geographically miles apart from the offshore company, communication with them shouldn’t be a headache given the multiple options you have in hand. They should be available at designated times, either through mails or chats or phone calls. Always make it a point to know more about the company’s past work before you give the green signal. The offshore web design company should have an impressive portfolio to boast of where all their varied work is displayed. A good portfolio will help you know whether the company will be able to meet your requirements and adjust to your demands. Lastly, you must only sign on the dotted lines with an offshore company when you are convinced that they have a good and reliable team of designers working for them. Your web designing project can never turn out successfully unless the best minds work together. Does the offshore web design company have the best designers? You should find answers to this question. Web designing is evolving rapidly and the rules of the game are constantly changing. If you want to have a successful partnership with an offshore company, you must be sure of their brilliance. Look out for the above traits and work with the best!